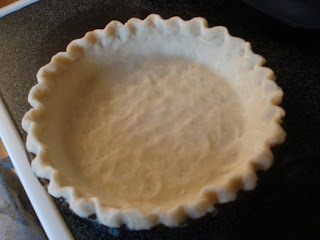 Combine sugar, cornstarch, and dry gelatin mix by stirring well. Add water and cook until thick and clear over medium high heat, stirring constantly to prevent scorching. Set aside and let cool. 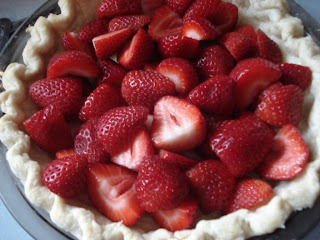 Wash and hull strawberries, cut in half and arrange over pie crust. 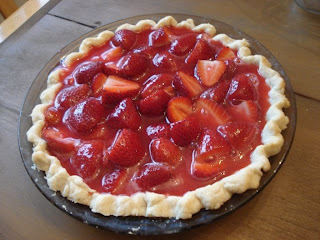 When filling is cool, pour over strawberries and chill pie until ready to serve. Serve with whipped cream. That looks so yummy. I gotta get some strawberries and make that pie. You done flung a cravin' on me now! This looks delicious. Absolutely perfect! How funny!! we made the same.